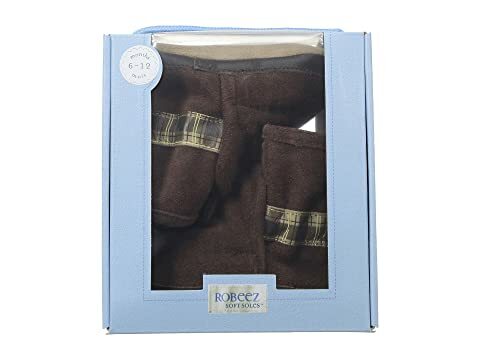 Cozy your little man up in style with these Robeez® crib shoes. 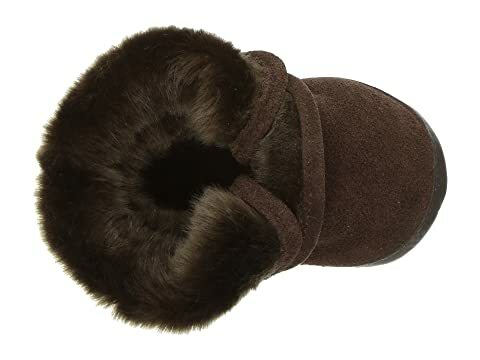 Soft suede upper faux fur cuff. 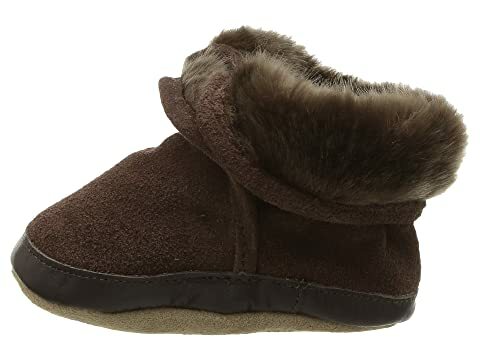 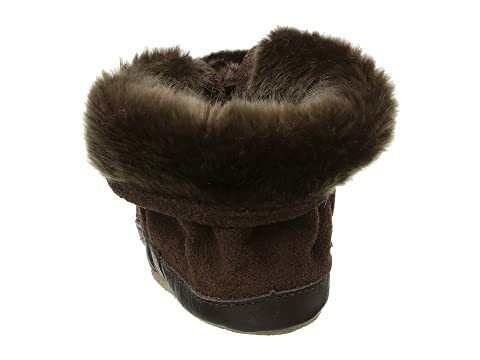 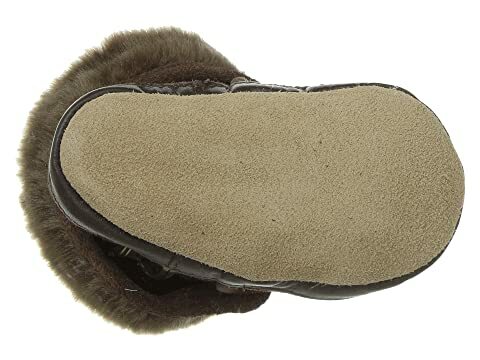 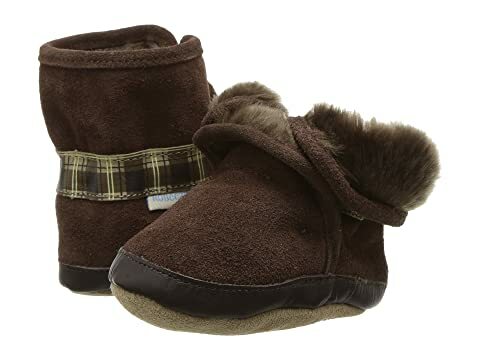 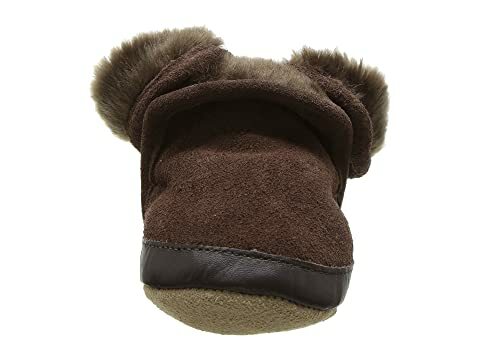 Soft faux shearling lining and a lightly cushioned faux shearling footbed.